You’re a fan of the the NES, aren’t you? Really, who isn’t? It’s arguably the best game console ever made and it holds a special place in the heart of so many people who were around during a time where the home gaming console was just starting to find its feet. Being able to play NES classics via emulation is something many people enjoy to this day and it’s one of the main reasons a lot of people jailbreak iOS devices, too. Now the act of hacking an iPhone or an iPad is no longer needed in order to get your Mario fix thanks to the arrival of Delta Lite. Created by Riley Testut of GBA4iOS and full Delta emulator (which is still in beta) fame, Delta Lite is a Swift Playgrounds app that can be fired up inside the, you guessed it, Swift Playgrounds app on a compatible iPad. That means anyone with an iPad running iOS 10 or newer can install Swift Playgrounds and if they can do that, they can play NES games. For free. As if by magic. For those unfamiliar with Swift Playgrounds, the app is a way for people to learn how Swift coding works and was released by Apple in order to get people into the world of creating apps and games for iOS devices. It’s also now how people can play NES games, too. Intrigued? Of course you are! For the past few weeks, I’ve been working on a brand new project I’m happy to share with you all: Delta Lite. Delta Lite is a Swift Playground that allows you to play any NES game in the Swift Playgrounds app on your iPad. Despite being a playground, Delta Lite is essentially a complete iOS app, and it supports standard emulation features such as save states and cheat codes, as well as Delta’s unique Sustain Button functionality. Download Swift Playgrounds on your iPad from the App Store. Tap this link on your iPad, which will launch Swift Playgrounds. Tap “Subscribe” on the alert that appears. Tap “Get” on the Delta Lite playground in the new “Delta” section. 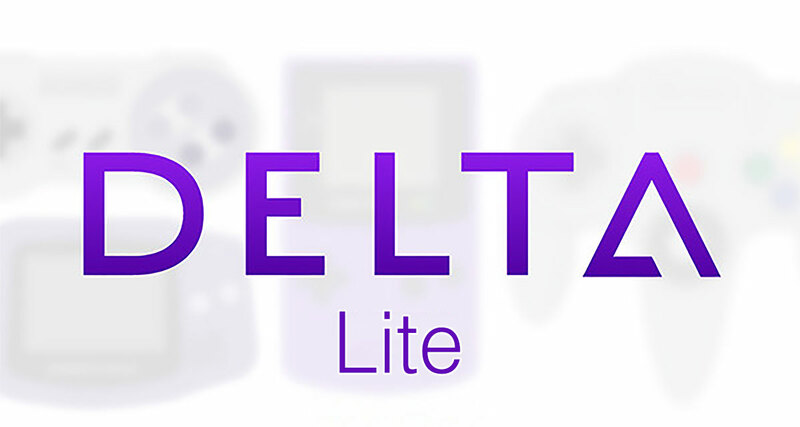 Open up the Delta Lite playground, and start playing NES games!